The contract with the infamous company “Zavodproekt” was concluded in 2010. In the course of nearly three years, Gabriel paid BGN 400 per month for a luxury apartment in the capital’s upscale Lozenets district. Bulgaria’s future European Commissioner and two-term Member of the European Parliament (MEP), Maria Gabriel, has rented a luxury municipal home at a price four times lower than the market one. The contract for an apartment on 25 “Nikola Vaptsarov” Street in Lozenets was concluded in October 2010, when Maria Gabriel (then Nedelcheva – by her maiden name, editor’s note) was already elected MEP with a BGN 30,000 monthly income. She left the home in May 2013, the press office of her ruling, center-right party Citizens for European Development of Bulgaria (GERB) reported in response to questions by Bivol. BGN 400 per month for 128 square meters in this luxury building in Lozenets are not an unbearable rent for a MEP. Nedelcheva’s cheap apartment was first reported by journalist Kalin Parvanov. He says he wanted to publish the story in Thema (Theme) magazine in 2014. “The story was not published in Thema then because, together with the editor-in-chief of the magazine Valery Zapryanov, we decided to believe her that she had lived there briefly before leaving the property. Now, it can be said that she misled us,” Kalin Parvanov writes in an article published in the close to the opposition Bulgarian Socialist Party (BSP) magazine A-specto. “There are swaps in the list of transactions of Sofia Properties whose expediency can be disputed. An example of this is the swaps by the subsidiary “Zavodproekt” in the period 2002-2003… In reality, there was a transfer of assets from Sofia Properties to its subsidiary. The Committee has no data on the further fate of the apartments, shops and other properties that have become property of Zavodproekt,” the report also says. In addition, the report lists the particular real estate transferred from Sofia Properties to “Zavodproekt” – 35 properties and apartments in exchange of three stories from an office building on 12 “Gurko” Street in downtown Sofia. De facto, these are municipal properties as they are part of the assets of a company wholly owned by the Sofia Municipality. In an earlier investigation, Bivol found that two of these apartments were swapped in 2005 with a property of the husband of the unfortunate candidate for Head of the Judicial Inspectorate Veselina Teneva. The swap was extremely unprofitable for “Zavodproekt” and, respectively, for the municipality. One of these apartments, located on the first floor of the building on “Nikola Vaptsarov” Street was “bestowed” to Nedelcheva. And its rent also does not appear profitable for the company and for the municipality. 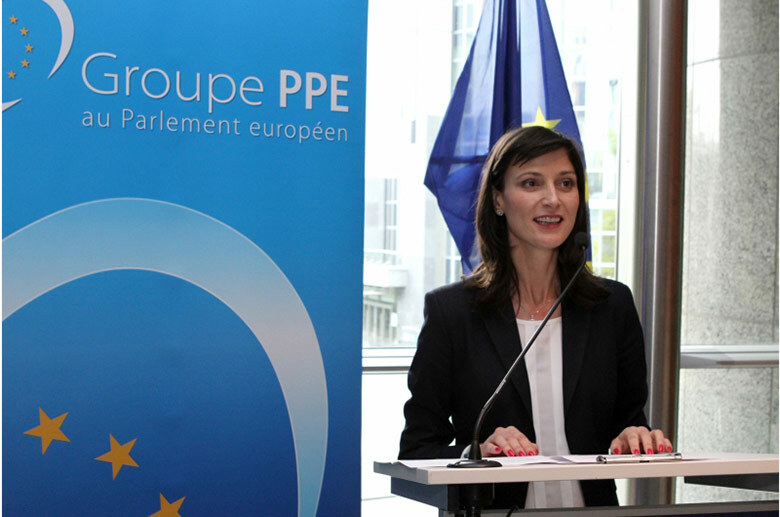 The young MEP from GERB Maria Nedelcheva became a tenant on October 1, 2010. According to her own explanation, the apartment was unfinished and the contract provided for finishing works, while the rental price was determined by a licensed appraiser. Bivol asked to see the contract, but it was not provided to us by the time of this publication. However, specialized real estate sites show that rents in Lozenets during this period were in the range of BGN 1,400-1,600 or up to four times higher. The rent of an apartment with a similar size in Lozenets was in the range of 700-800 euro. This significant price difference, as well as the fact that Sofia Municipality is governed by the GERB party and Nedelcheva is a MEP from this same party, raises suspicions of abuse of office and conflict of interest. The difference between the market rental price of about BGN 1,500 on average and the BGN 400, paid by MEP Nedelcheva for 32 months, amounts to nearly BGN 35,000, which is no pocket change. From it, one must, of course, deduct the cost of the finishing works, which is unclear as it is unclear why Gabriel should have done them if she used the apartment for storage only. What is more perturbing is that the MEPs’ property declarations have a column for such benefits in kind and financial interest. In Maria Gabriel’s declaration from 2012, this column is empty.